ProSilva Ireland is launching its Forestry Policy document in Wicklow on Saturday 24 April 2010 at its Forest Open Day at Cloragh Farm, Co. Wicklow. ProSilva Ireland is part of ProSilva Europe, a 27 country European network of professional forest owners and managers, who practice close to nature forest management in permanent forests. The ProSilva Ireland Forestry policy prioritises the need for long term, permanent mixed species forestry that are both ecologically and economically sustainable. It endorses the Close to Nature-Continuous Cover professional Forest Management Systems that have been developed and practiced in European countries since the mid 20th century. ProSilva Europe is now a network of 27 participating forestry organisations. It originated in Slovenia, a country that has a long history in permanent forest management. Sixty percent of Slovenia is permanently forested, and it makes up 60 percent of its GDP, even though clear-felling is illegal there. Close to Nature forest management harnesses the strength and vitality of natural systems to optimize forest growth and regeneration while sustainable selective felling is practiced to generate income. 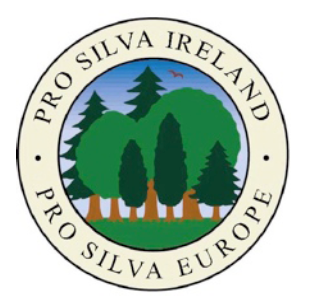 Pro Silva Ireland is a small but rapidly growing professional forestry organisation. It is a non-profit organisation founded in June 2000 and membership is made up of forest owners, foresters, forestry students and others who wish to practice and learn more about Close to Nature Forest Management. Pro Silva Ireland is an all-Ireland organisation, embracing membership from both Northern Ireland and the Irish Republic. Pro Silva Ireland is also pleased to announce that all are welcome to attend its Open Forest day at Cloragh Farm where Pro Silva managment methods are employed, from 11am-4pm at Nun’s Cross, Ashford, Co. Wicklow. In attendance will be two visiting Pro Silva leading foresters, Dr Jurij Diaci, Head of the Slovenian Forest Service and Prof. Jürgen Huss, a leading German forest expert who has a keen interest in Irish forestry.